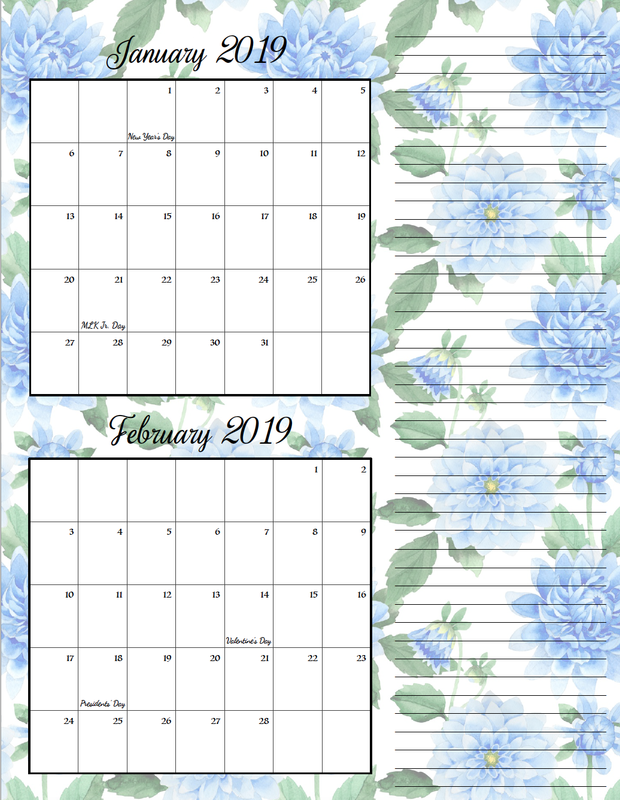 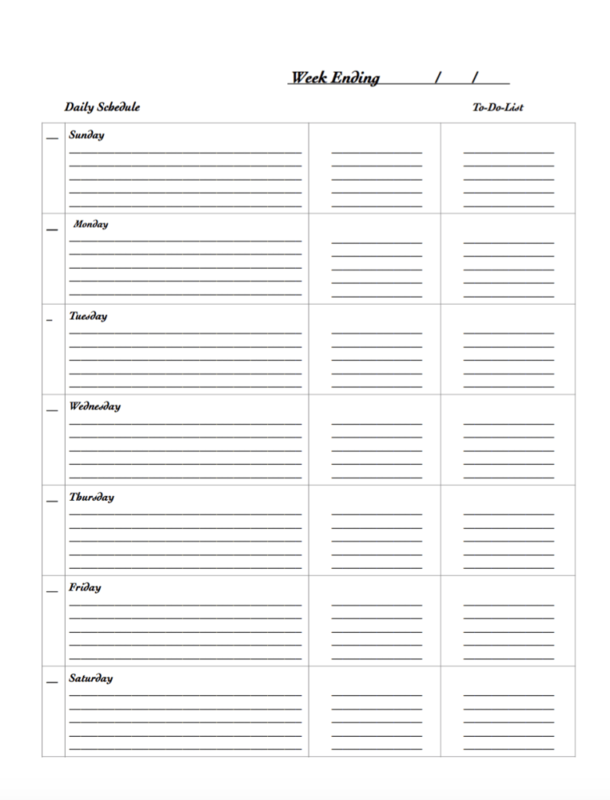 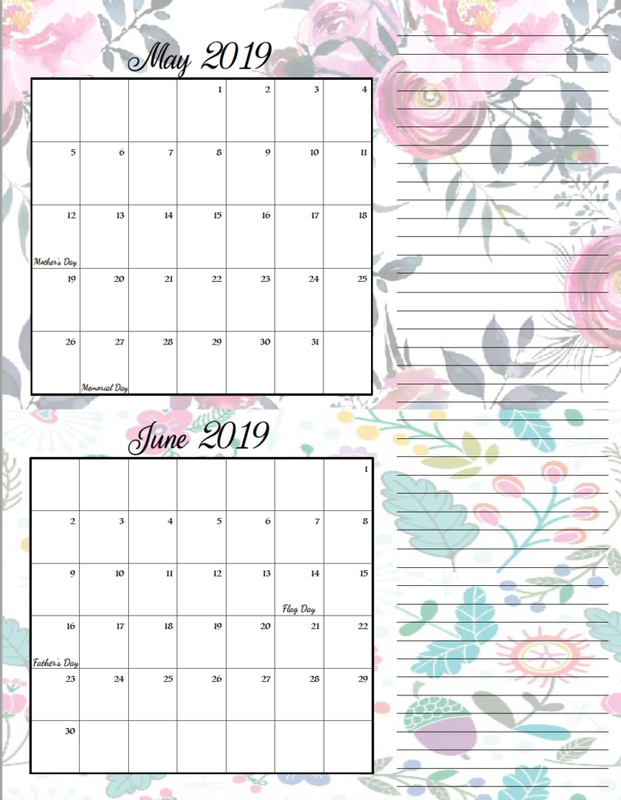 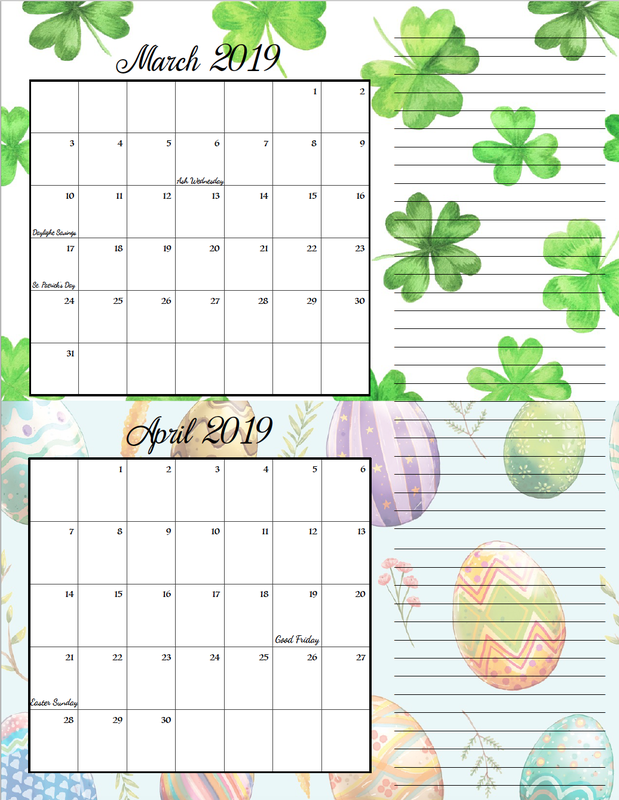 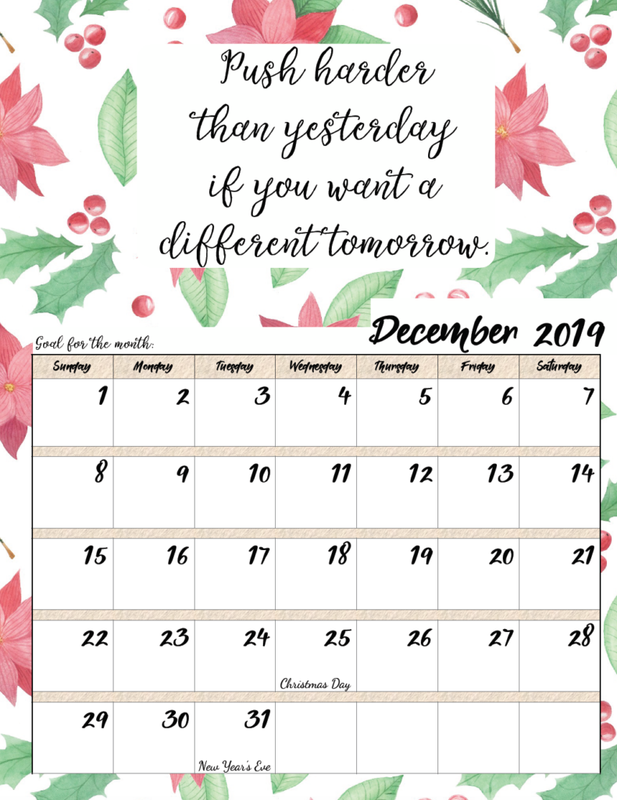 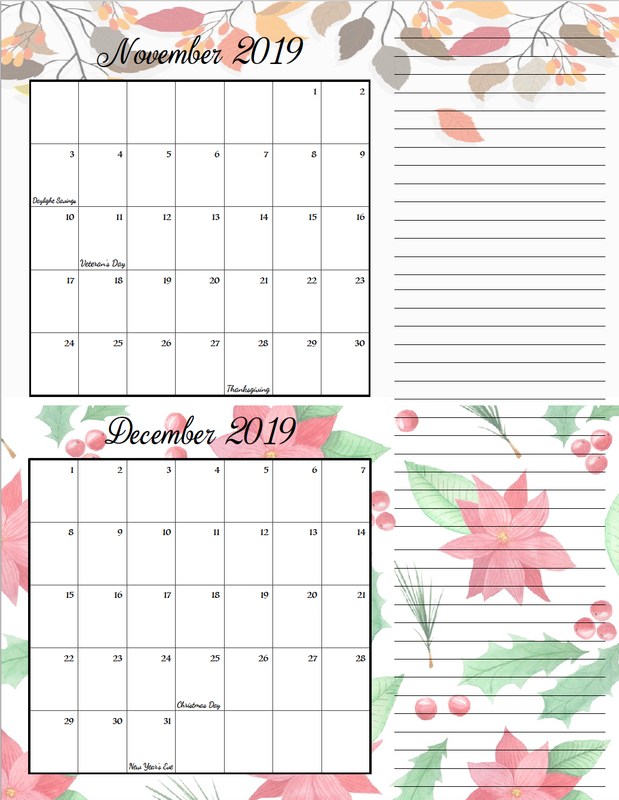 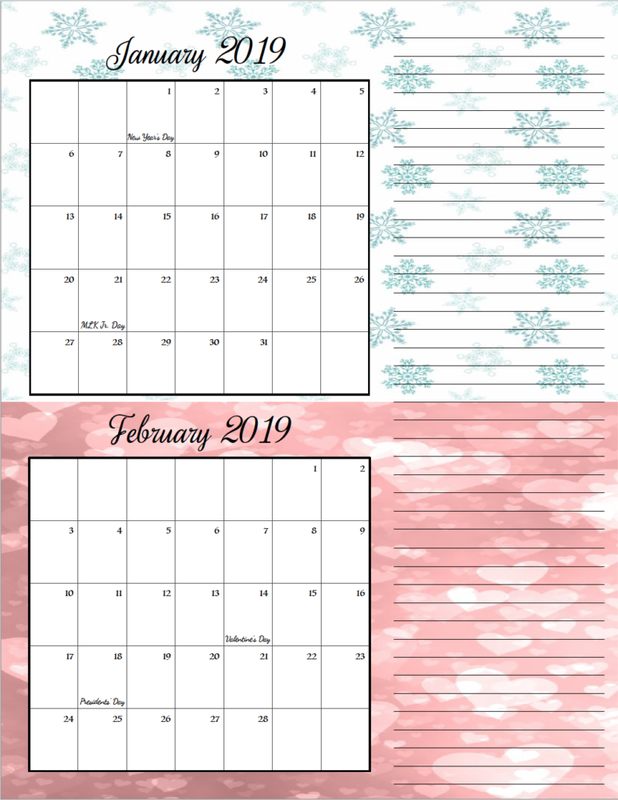 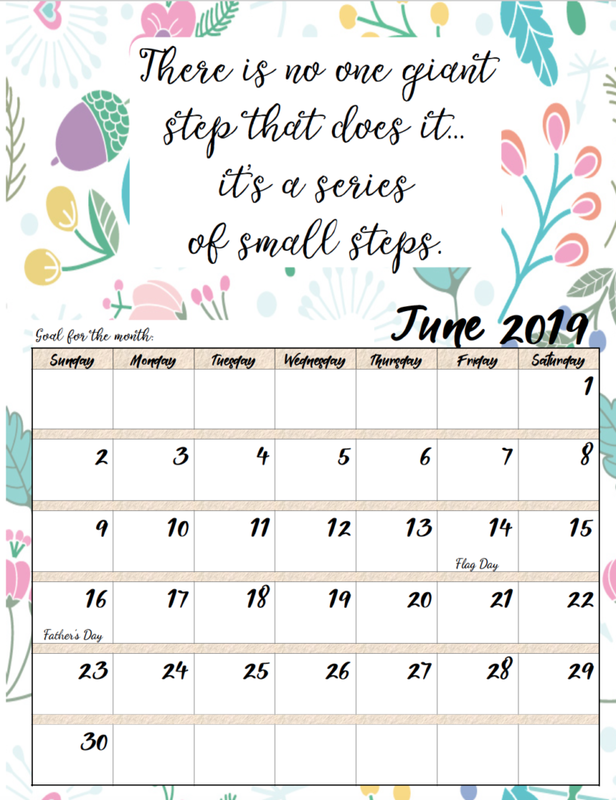 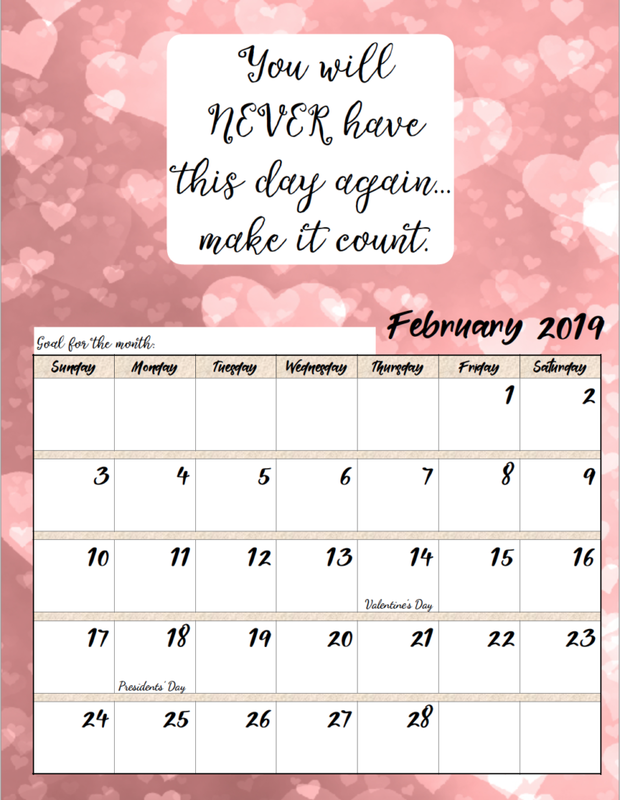 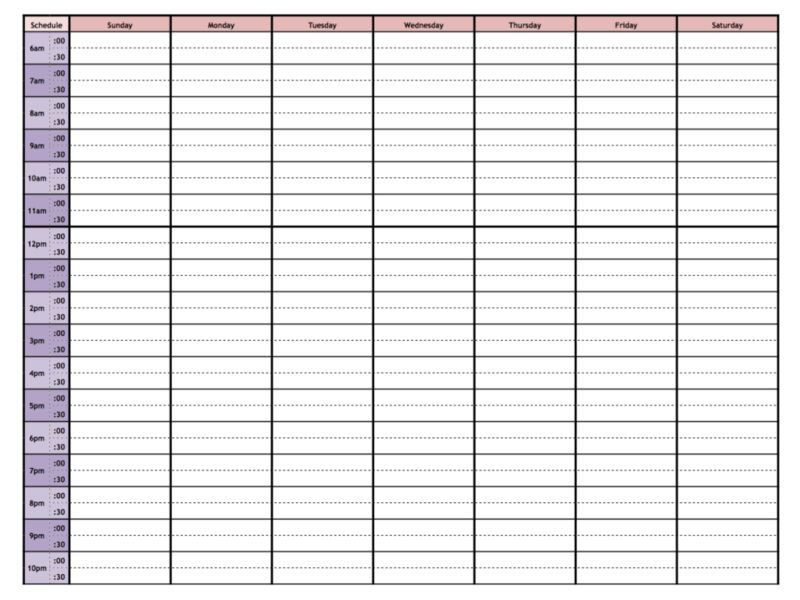 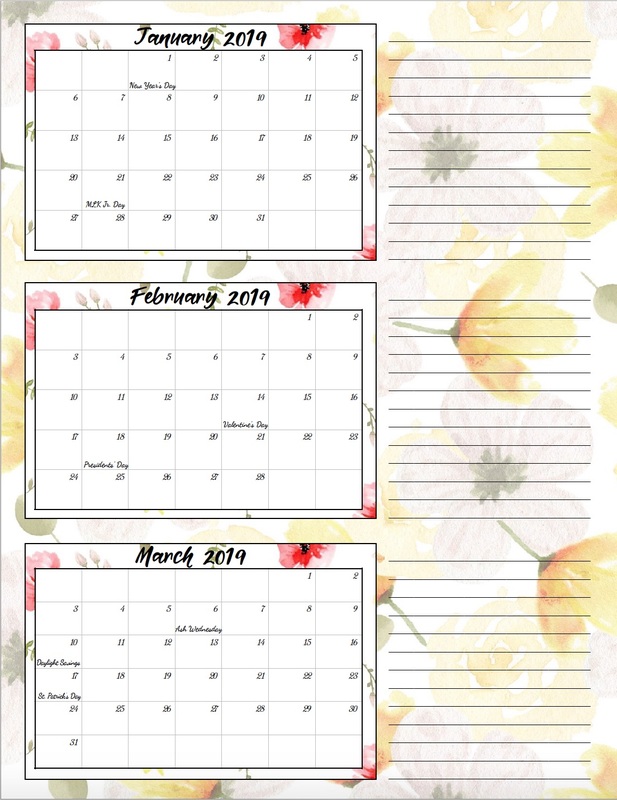 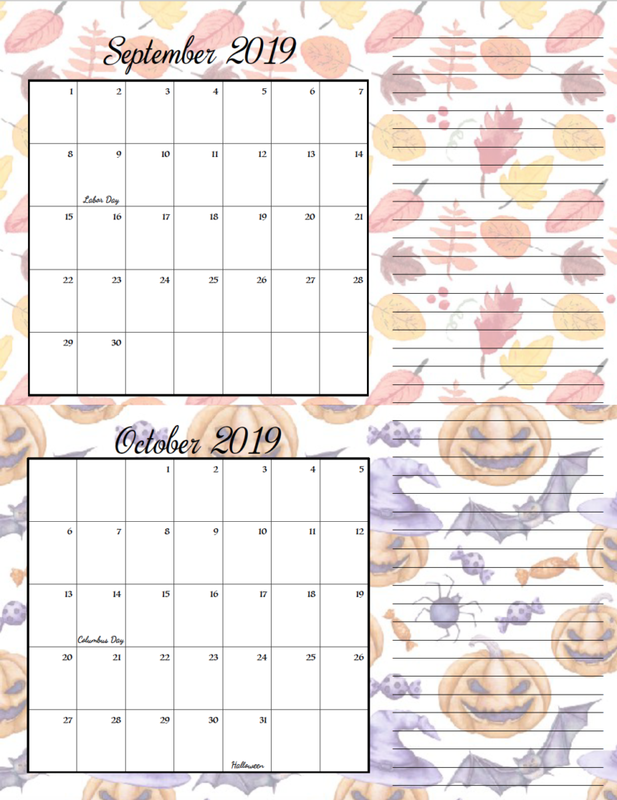 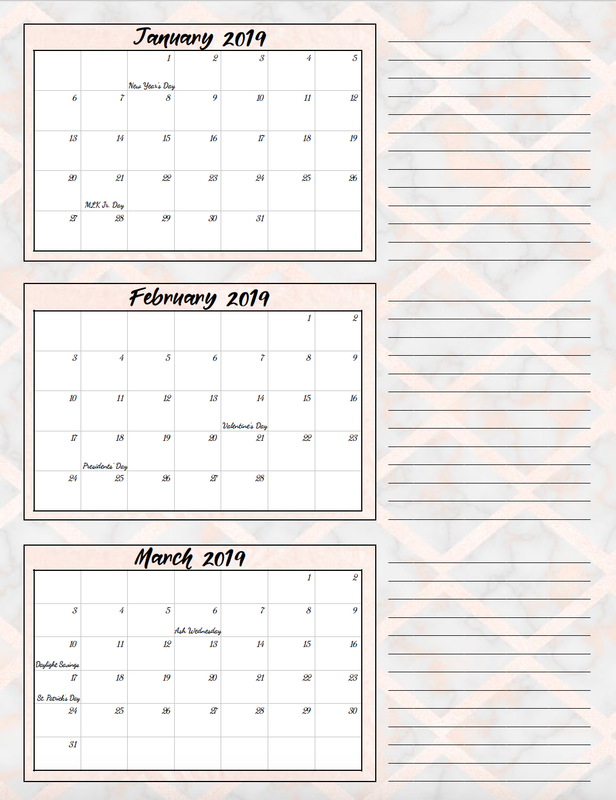 • Sign-up for the 35-page Free Printable 2019 Planner! I hope you enjoy my calendars…but if you’re looking for an amazingly awesome source of calendars that are more utilitarian, check out Calendarpedia…they have every calendar you can image, and in multiple formats (including Word, Excel, and pdf). 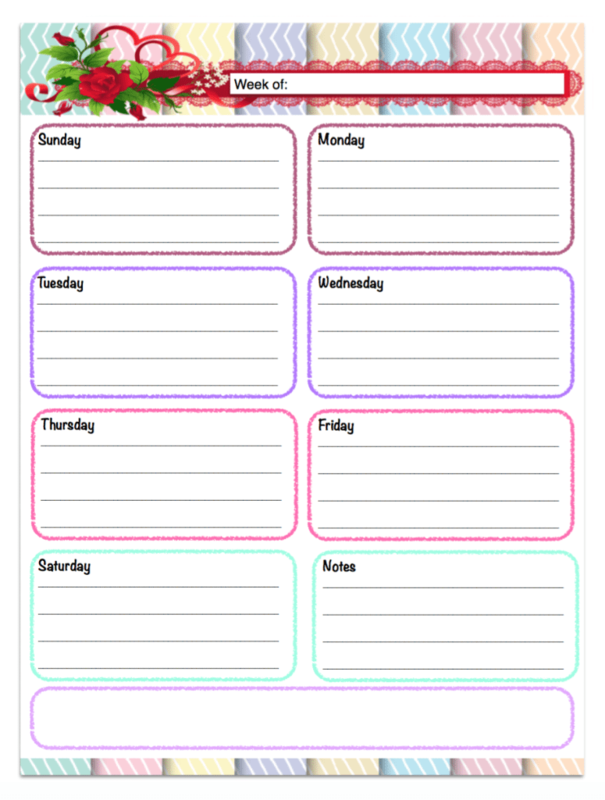 • Print options: regular paper works, especially if you’re putting in your planner! 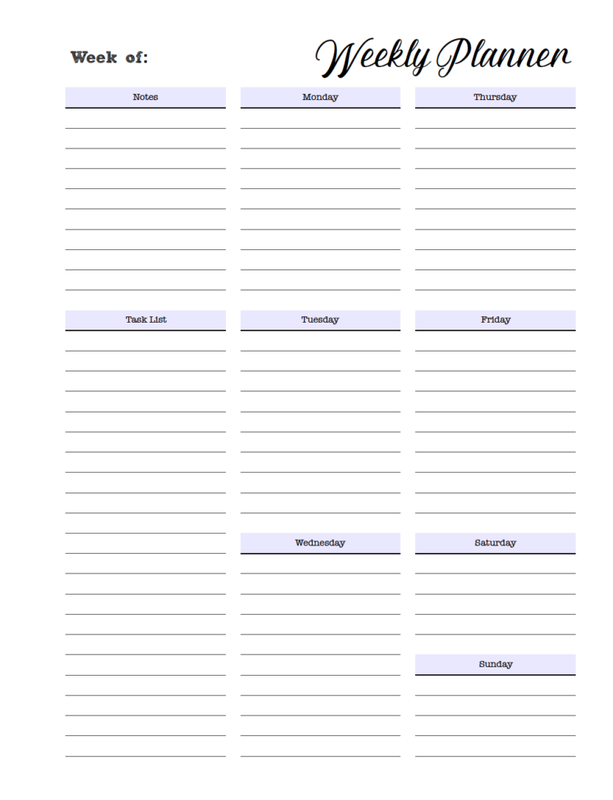 Looking to get organized? 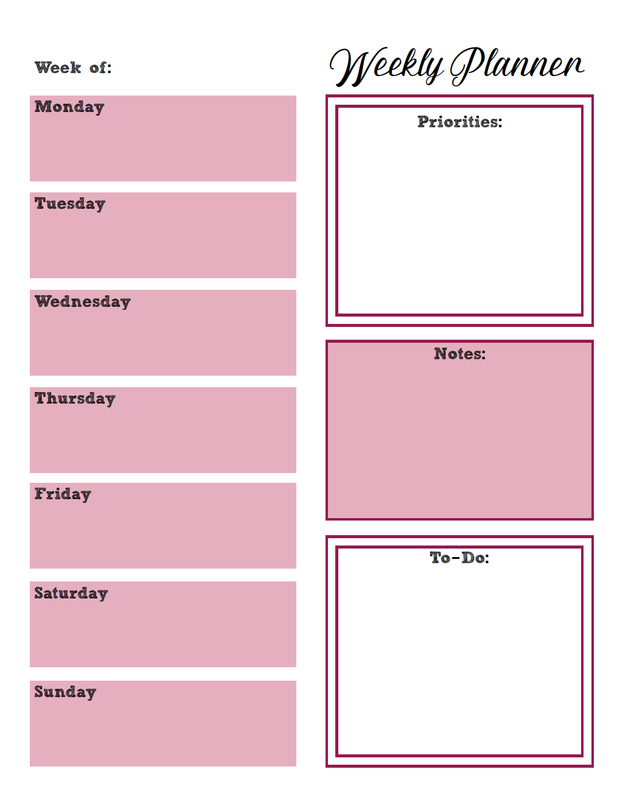 This Ultimate Productivity Bundle is AMAZING. 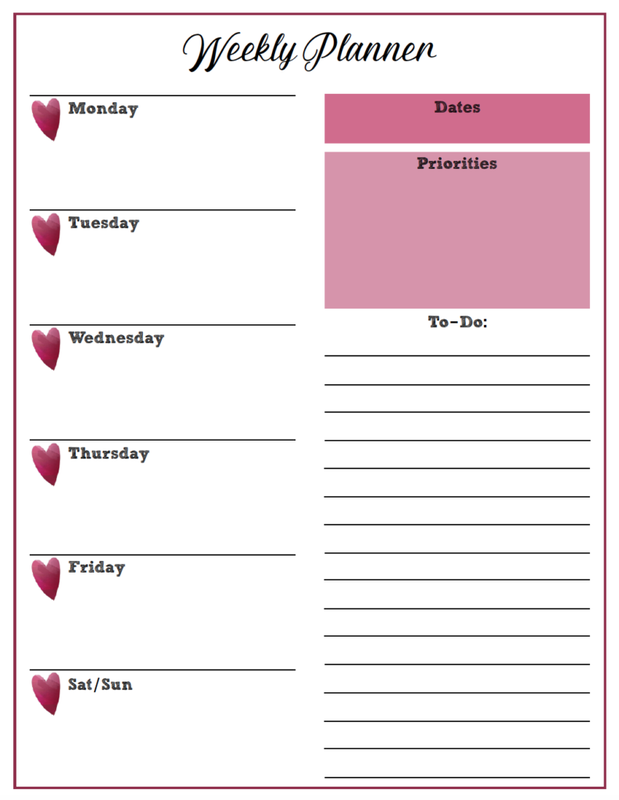 It has home management planners, time management resources, daily planners, goal planners, self-care material, and more! There are 46 products (14 eCourses, 5 eBooks, 26 printable packs & workbooks) worth a total of over $1,500. 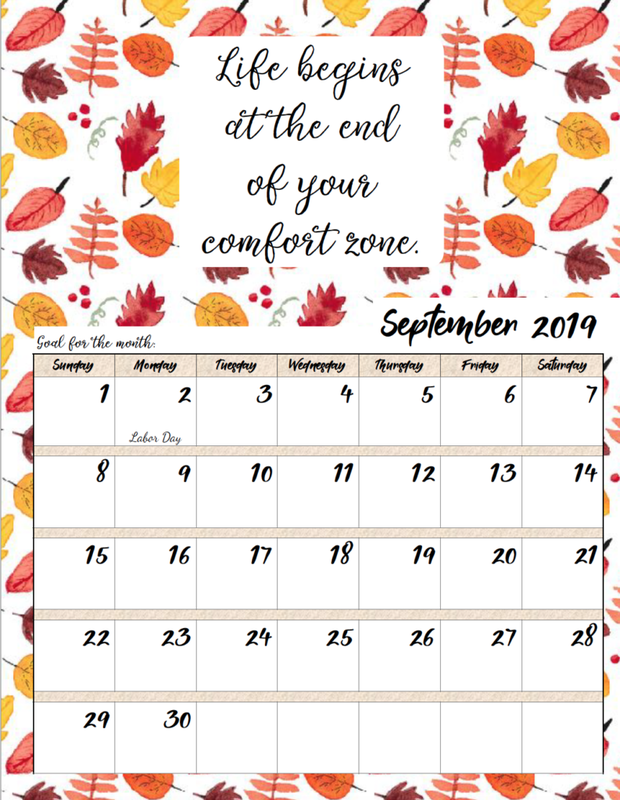 And it’s available now for only $47. 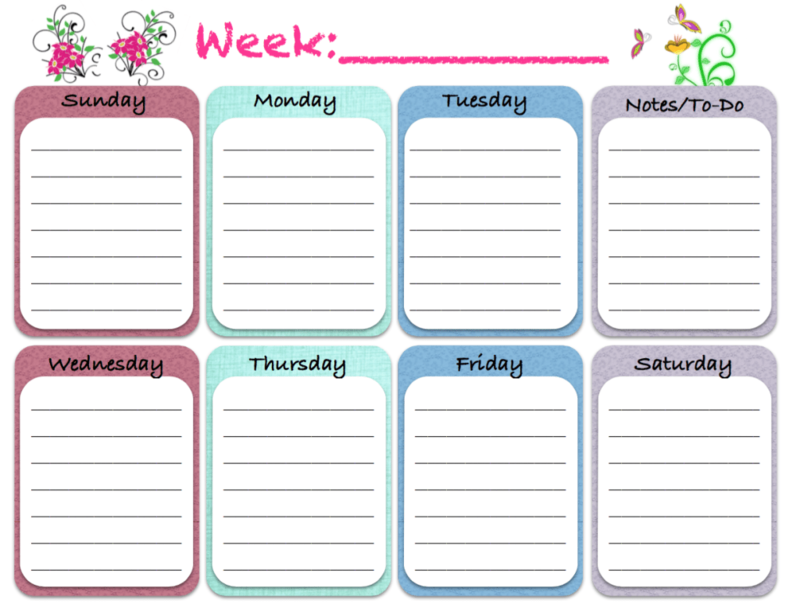 Weekly planners seem to be amazingly popular! 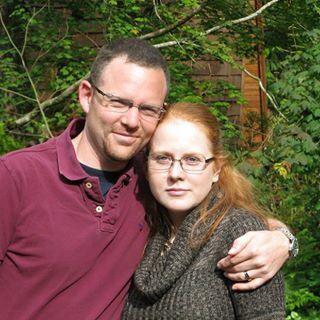 I couldn’t believe the traffic they generated. 5 designs below. Due to reader request, I made some weekly planners that start on Monday instead of Sunday. 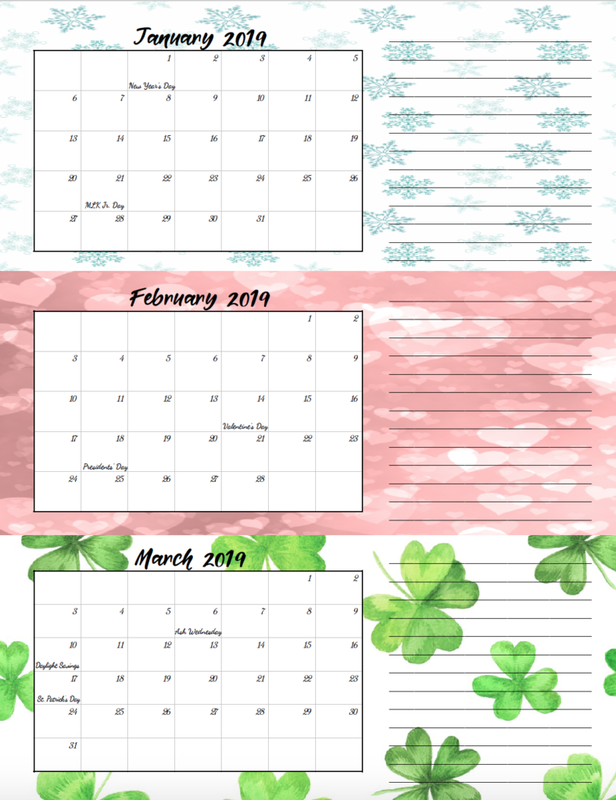 4 designs below. Weekly Planner1 <<<Click on that to download pdf. 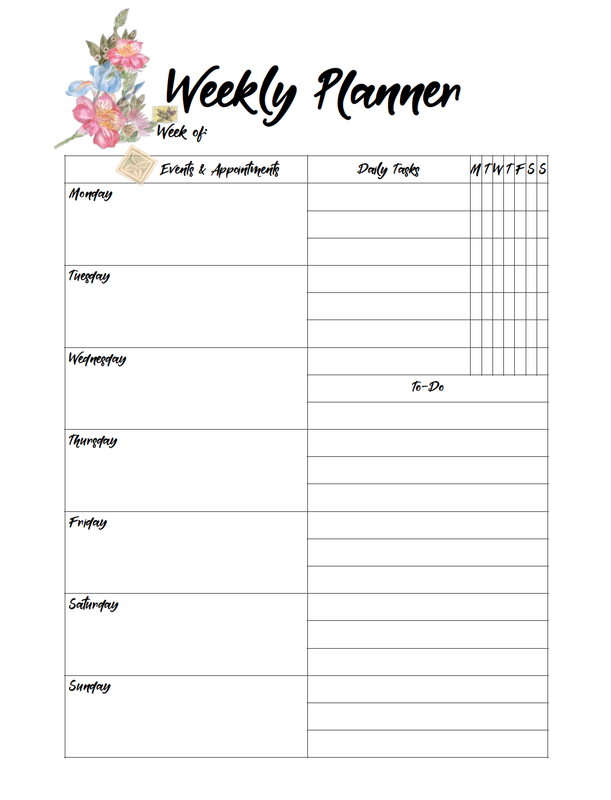 Weekly Planner4 <<<Click on that to download pdf. 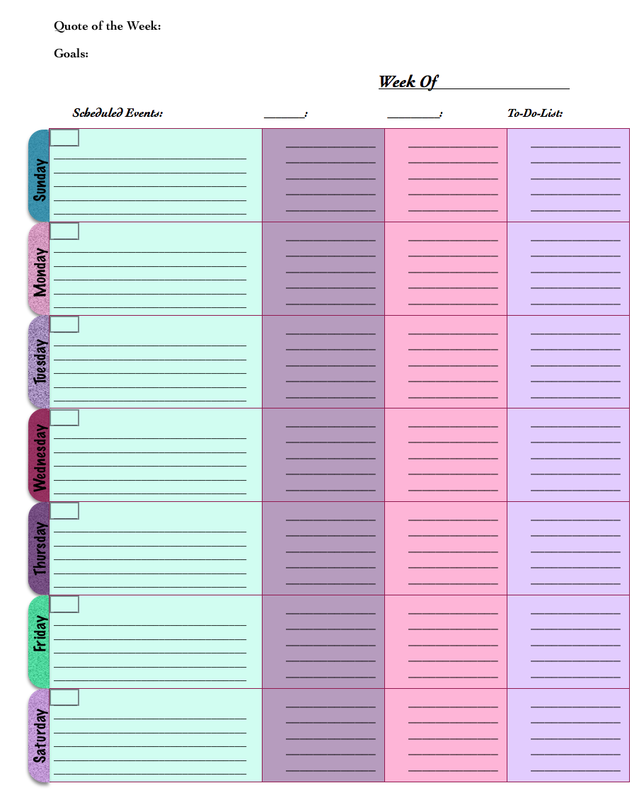 Weekly Planner2 <<<Click on that to download pdf. Weekly Planner3 <<<Click on that to download pdf. 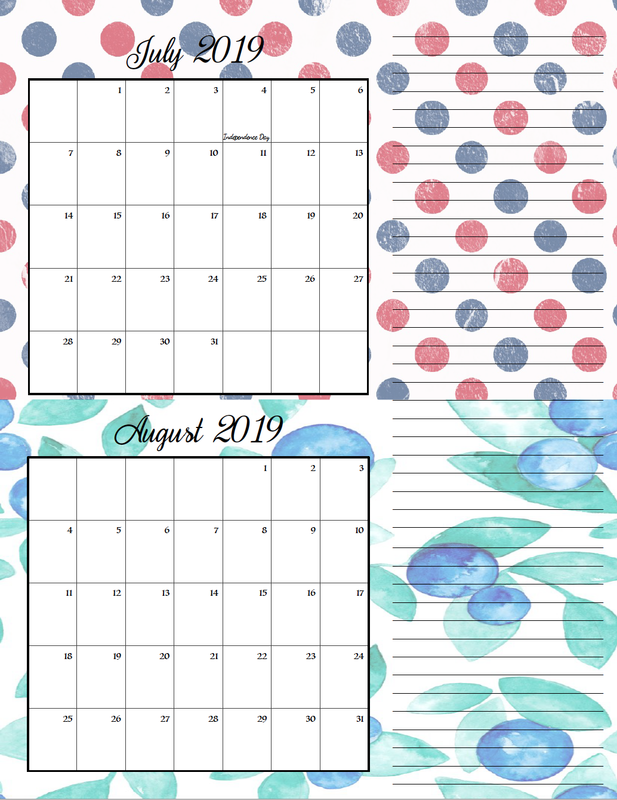 I’ve included one month of each design below so you can see what they look like! 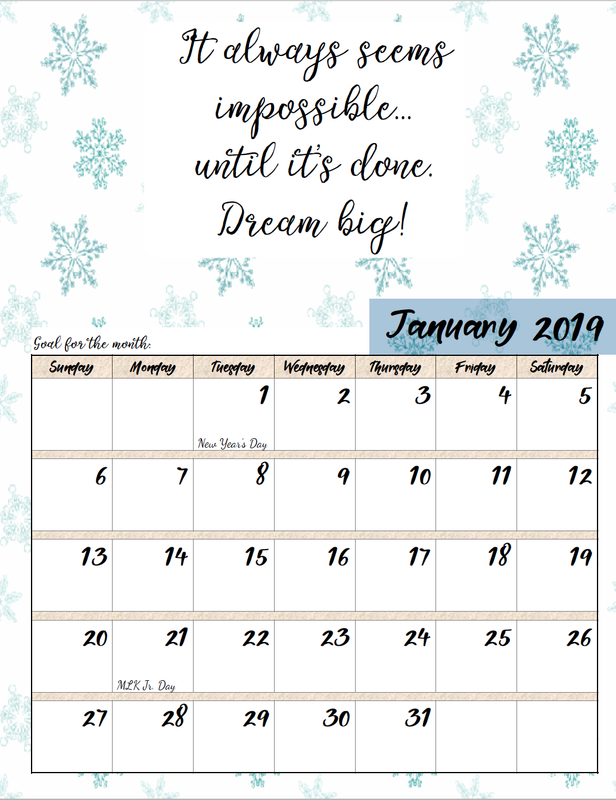 Motivation_2019_1January <<<Click there to download pdf. Motivation_2019_2February<<<Click there to download pdf. 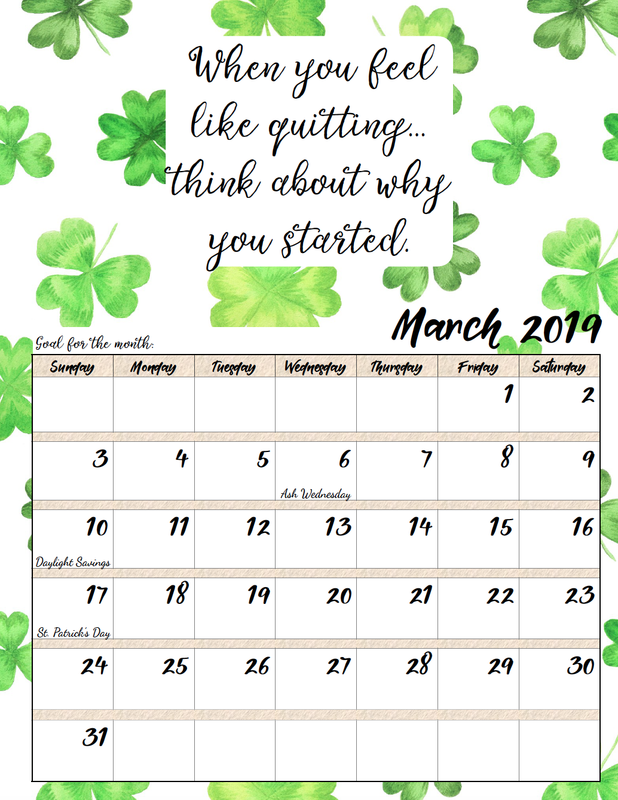 Motivation_2019_3March <<<Click there to download pdf. 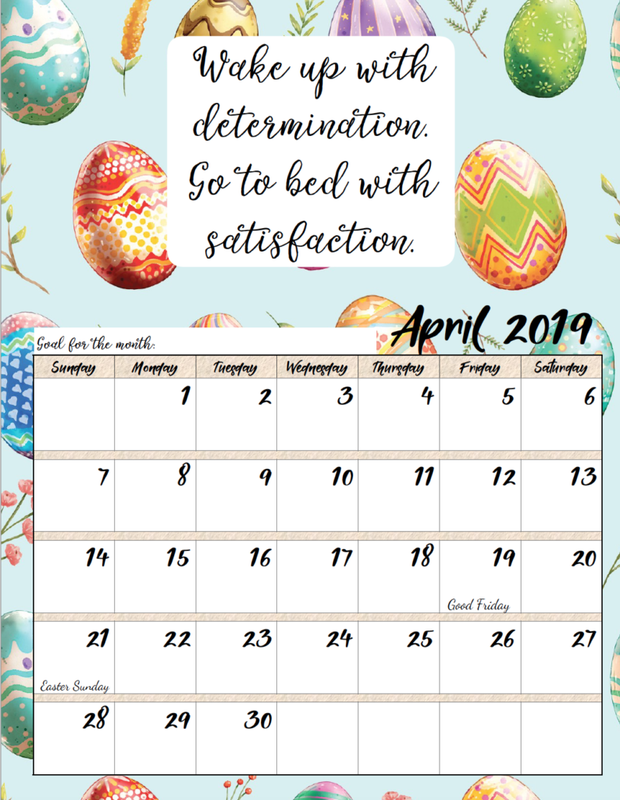 Motivation_2019_4April <<<Click there to download pdf. 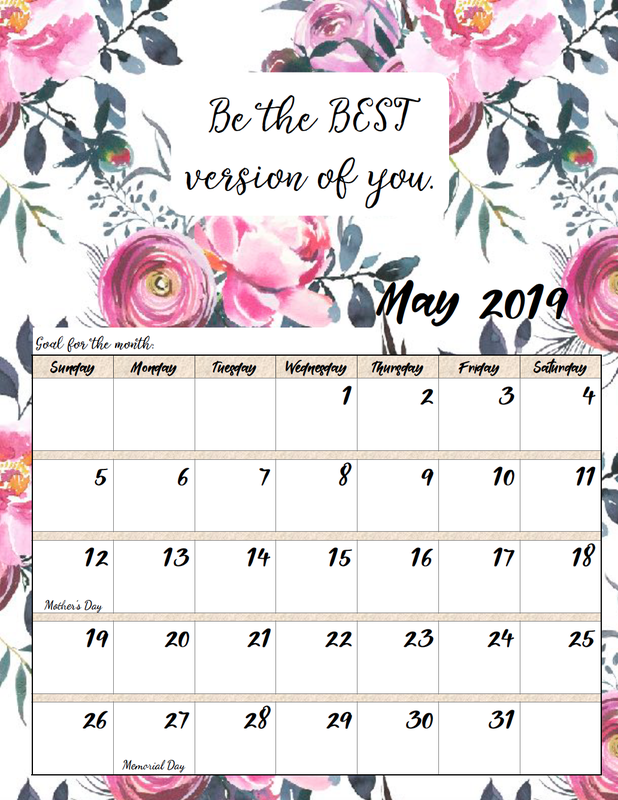 Motivation_2019_5May <<<Click there to download pdf. 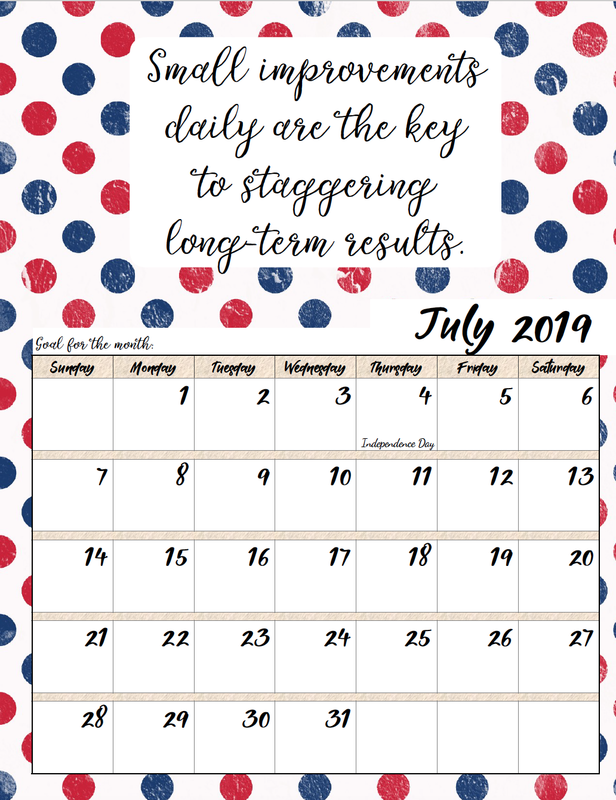 Motivation_2019_6June <<<Click there to download pdf. Motivation_2019_7July <<<Click there to download pdf. 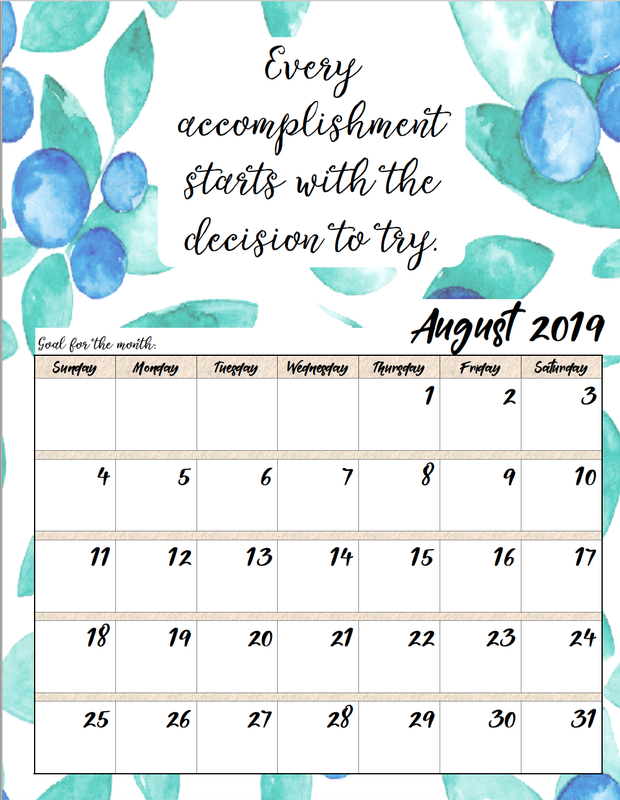 Motivation_2019_8August <<<Click there to download pdf. 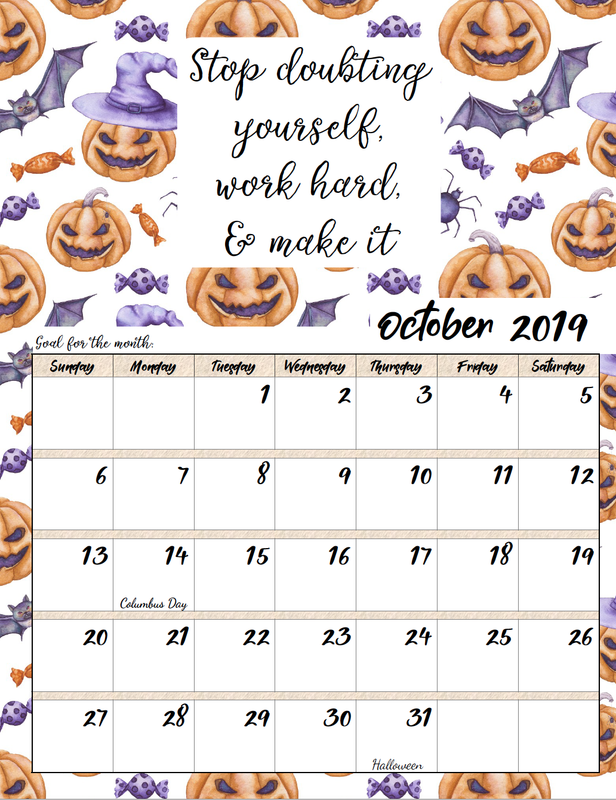 Motivation_2019_9September <<<Click there to download pdf. 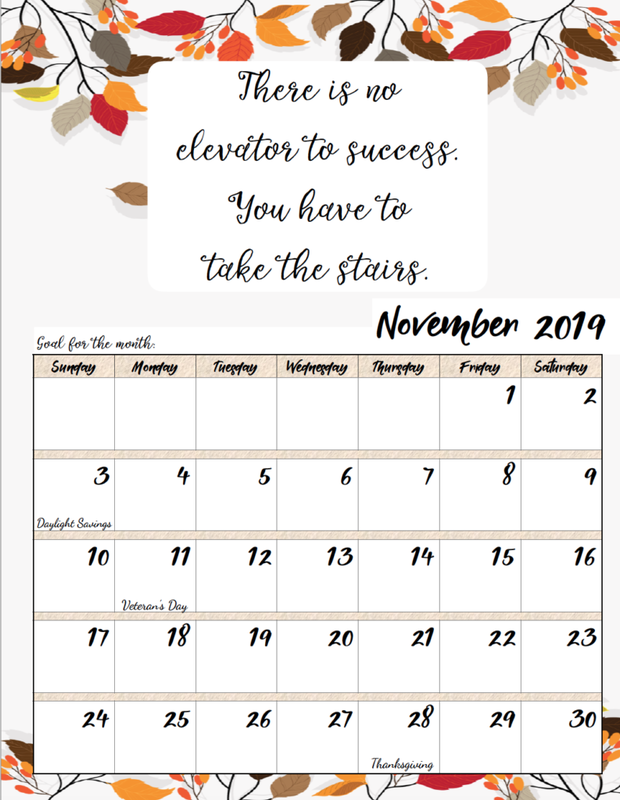 Motivation_2019_10 October <<<Click there to download pdf. Motivation_2019_11 November <<<Click there to download pdf. Motivation_2019_12 December <<<Click there to download pdf.